When can I get the Creators Update? Today! But only if you’re in the Windows 10 Insider preview program. If you’re not, the Windows 10 Creators Update will start rolling out to the general public on April 11. That doesn’t necessarily mean you’ll receive it that day, however; the Anniversary Update took about four months to propagate to 80 percent of Windows 10 users. Unless you’re so impatient that you want you join the Insider program and start playing with the Windows 10 Creators Update today, just sit tight. The Creators Update will eventually be pushed to everyone via the Windows Update process, just like every other Windows 10 update. There’s no way for home users to opt out of it. These button could get you the Windows 10 Creators Update immediately after April 11. 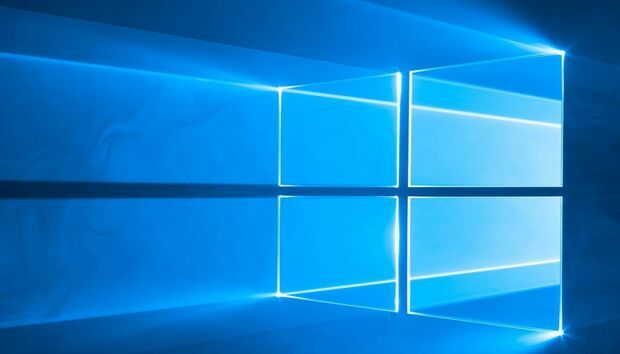 If you’re not part of the first wave of automatic upgrades, Microsoft’s Windows 10 download page has a button to get the latest version of the operating system. With the Anniversary Update, you could use that button to immediately upgrade to the new OS if Microsoft hadn’t called your proverbial number yet. There’s a good chance the same will be true of the Creators Update—after April 11, at least. Microsoft releases two major Windows 10 updates each year, and the Creators Update is the first of those. With a little practice, the Creators Update’s Paint 3D app can be used to construct fun 3D scenes like this one. It includes some helpful quality-of-life changes, such as a high-level privacy dashboard, an easier setup process, and usability tweaks to various settings and features throughout the operating system. The Creators Update also packs in new goodies, the most notable being the Paint 3D app, native video game-streaming, a Game Mode that improves gaming performance, and Edge support for native ebooks and 4K Netflix streams. And, oh yeah! Themes are back and better than ever. Seriously, there’s a lot of stuff in the new-look Windows 10. Check out PCWorld’s roundup of the Creators Update’s best new features for much, much more. Sweet! So it’s still free, right? Yep, free-as-in-beer free—at least if you’re already on Windows 10. Not really, though the Windows 10 Creators Update is missing many of the highlight features Microsoft promised at its October reveal. Windows Holographic is lurking inside the Creators Update, but for devs only, and no consumer VR headsets are available at launch. Virtual reality and 3D creation were two of the major cornerstones of the Creators Update vision—the reason for its name!—but beyond the new Paint 3D app those features are largely AWOL. The ballyhooed My People app was quietly scuttled for this release. We haven’t had success getting Cortana’s teased handoff feature to actually pass work from one device to another. There’s no release date for any of those hyped-up $300 Windows VR headsets. It’s a bit of a bummer, sure. But if you ignore what’s not there and focus on what is in the Creators Update, you’ll find a lot to like. I’ll defer to my buddy Mark Hachman for that. Mark’s spent the past two weeks poking and prodding the final Creators Update release to discover all of its highlights, lowlights, and secrets. Head over to PCWorld’s comprehensive Windows 10 Creators Update review for the full rundown and extensive hands-on impressions, or our round-up of the Creators Update's best new features.